Fully-sealed winch with a pulling strength capability of 1,361 kg. Includes a 0.9 HP motor, 15.2 m of 5 mm wire rope, an ergonomically designed clutch knob, a mechanical brake, hand-held remote, potted-and-sealed mini-rocker handlebar switch, waterproof contactor and roller fairlead. 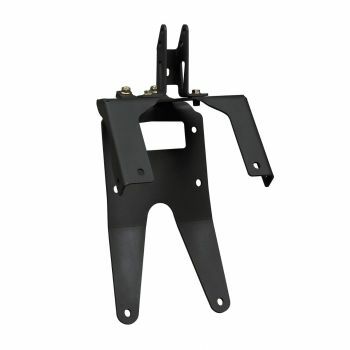 Winch mounting plate (715000927) required for Renegade. CE certified.